Winesburg, Ohio and Lost in Winesburg were funded by an Ohio University 1804 Foundation Award and the Ohio Humanities Council. Filmed entirely on location in Athens, Nelsonville, Logan and Pomeroy, the films are a unique collaboration between the local community and Ohio University students, alumni, staff and faculty. Winesburg, Ohio is an experimental narrative, freely adapted from the classic novel by Sherwood Anderson, mentor to Faulkner and Hemingway, and inspired by 'the hunger to see below the surface of lives'. In the film, as in the book, a young reporter in small town Ohio circa1919, moves through a mysterious, labyrinthine world, glimpsing the dreams and disappointments of local inhabitants, as they relive the moments that renders them grotesque. 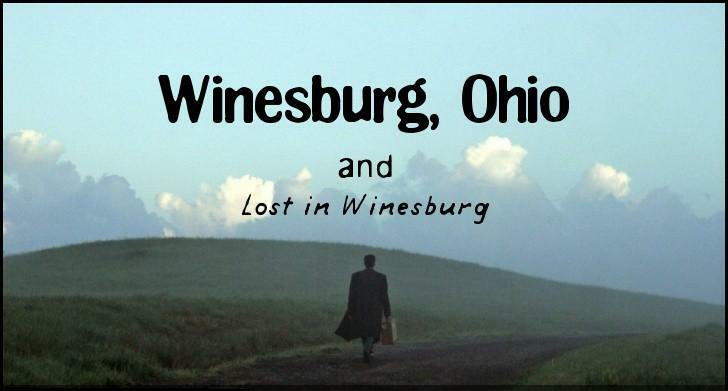 Lost in Winesburg is a documentary that examines both the enduring legacy of Anderson's book, by examining present day small-town Ohio, and the attempt to adapt Winesburg, Ohio for the screen. The film follows the creative process of the actors and crew as they immerse themselves in the suprisingly controversial production. Whilst the production takes some unfortunate twists and turns, the residents of Clyde grapple with their hometown hero and his portrait of their way of life. Ultimately, Lost in Winesburg confronts the possibility that some stories are best left untold. They're not really stories. They're just people. I myself remember with what shock I heard people say that Winesburg was an exact picture of Ohio village life. The book was written in a crowded tenement district of Chicago. The hint for almost every character was taken from my fellow lodgers in a crowded rooming house. In its fundamental quality Winesburg is non realistic; it does not seek to gratify the eye with a verisimilitude to social forms…In rather shy lyrical outbursts the book conveys a vision of American life as a depressed landscape cluttered with dead stumps, twisted oddities, grotesque and pitiful wrecks; a landscape where ghosts fumble erratically and romance is reduced to mere fugitive brushings in the night; a landscape eerie with the cracked echoes of village queers rambling in their lonely eccentricity. Again and again Winesburg suggests that beneath the exteriors of our life the deformed exert dominion, that the seeming wealth of our state derives from a deep malignancy. And Winesburg echoes with American loneliness. Only when man gives precedence to his spirit over material things will he wear his suffering lightly. The figures of Winesburg usually personify to fantastic excess a condition of psychic deformity which is the consequence of some crucial failure in their lives, some aborted effort to extend their personalities or proffer their love. Winesburg, Ohio at IMDB go here and Lost in Winesburg at IMDB here. 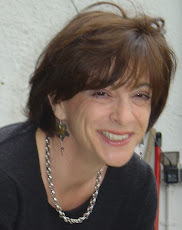 Currently Director of the Northern Film School, until 2004 Jennifer was resident in the U.S., where she was Professor of Screenwriting at Ohio University School of Film. Jennifer is a film maker with a diverse background as a playwright, script editor, producer, director and actor. Her 10 minute experimental narrative drama, 'And the Girl, is premiering at the Leeds International Film Festival in November 2008 and her 50 minute narrative adaptation of Sherwood Anderson's 'Winesburg, Ohio' and companion feature length documentary 'Lost in Winesburg', premiered in May 2008 at Athens International Film and Video Festival. Whilst in the USA she made a 50 minute documentary ‘Sephen Burrows' World’ about the iconic 70’s New York fashion designer, which was screened at the Fashion Institute of Technology, and her play ‘The Rule of Three’, which she wrote, produced and acted in, was performed at fringe theatre festivals. The play has been re-written as a musical and played a short run at the Jermyn Theatre, London in November 2007. Her feature length screenplay, 'Rumspringa', co-written with Lucy Walker, has been in development with Arcane Pictures and BBC Films, 'Mirror Called Mexico' has been a finalist in numerous screenplay competitions and is in development in New Mexico, and 'The Huntsman' won the 21st Century Screenplay competition. 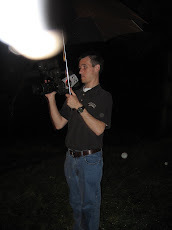 Tommy Britt is the director and editor of "Lost in Winesburg." He teaches in the Film and Video Studies program at George Mason University in Fairfax, Virginia. He has recently written for Bright Lights Film Journal and Cinephile, as well as presenting work at Cine-Excess II in London and the 2008 Film & History conference in Chicago.